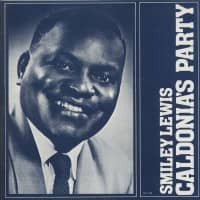 For a guy sporting one of the jolliest stage names in all of New Orleans, Smiley Lewis didn't have a whole lot to grin about over the course of his prolific recording career, despite making some of the hottest rocking platters ever cut in the Crescent City under the savvy direction of Imperial Records A&R head Dave Bartholomew. As the vaunted Studio Band at Cosimo Matassa's recording facility melted the walls with their sizzling backing, Smiley roared with a full-throated gusto similar to that of blues shouter supreme Big Joe Turner, with whom he staged a few local onstage 'Battle of the Blues' promotions during the early '50s. 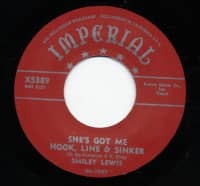 Despite his booming pipes, equally suited to belting jumping blues, blistering rockers, or sentimental ballads, Lewis somehow only managed to dent the R&B charts four times (at least Turner temporarily managed to cash in during rock and roll's primordial wave, even guesting in one of the era's first quickie rock flicks). Smiley's best hope of crossing over to the pop hit parade the way his labelmate Fats Domino did time and again was dashed when pop chanteuse Gale Storm blandly covered his R&B smash I Hear You Knocking in the fall of 1955 for Dot Records, a company that made a habit of such sanitized travesties. Poor Smiley's vastly superior original, anchored by Huey Smith's splendid in-the-cracks piano, never stood a chance. "Smiley, he was a very nice guy, and a beautiful, big, big voice," said Bartholomew. "But Smiley, I don't know, it looked like he was bad luck. Because other people would pick up his tunes after he recorded 'em and made million-sellers out of 'em. Smiley just could only get maybe 2 or 300,000 out of each record. So as a result, he was pretty big in certain parts of the country. He was very big in the South, and around New York he would sell some, you know. But he wasn't a constant seller. I just couldn't-–I could never understand Smiley. A very good artist." I Hear You Knocking wasn't the only time that a song Smiley had introduced on Imperial was borrowed by another artist who fared considerably better with it. Bartholomew was also Domino's Imperial producer and songwriting partner, and he recycled several songs he'd originally given Lewis with the Fat Man, the results usually proving far more lucrative for everyone concerned except Smiley. Elvis Presley was similarly aware of the value of the Lewis songbook. He took Smiley's lusty 1956 R&B hit One Night, where he longed for "one night of sin," and toned the lyrics down into a "one night with you" scenario that proved a '58 pop smash. "Smiley was the hard-luck guy of the studio, you know? Even when he had recordings that got done, other people covered them and had better financial success with them," said Matassa. "It was kind of rough in that sense. It was a case that (the teenagers) didn't hear the other one." There was a silver lining: the publishing royalties accrued to Bartholomew either way. "The white guys were getting the airplay," noted Cosimo. "So, bad as it was, it was pretty good." 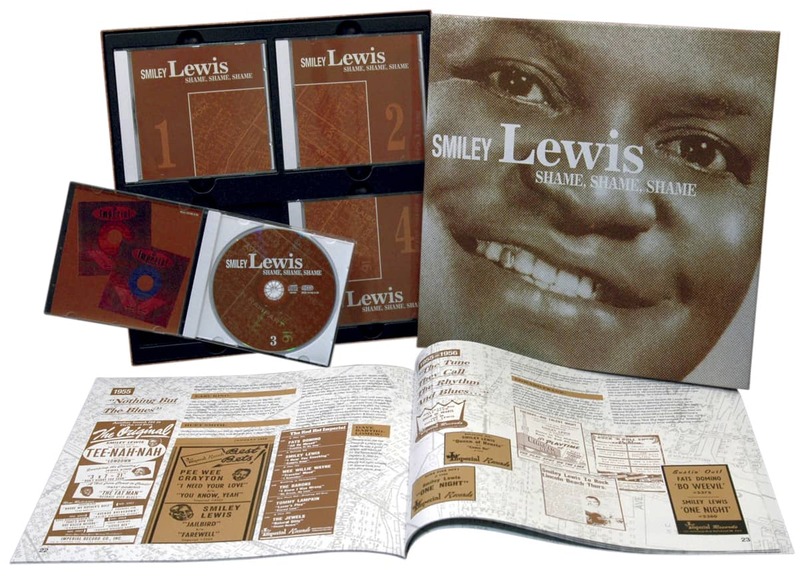 According to Social Security records, Overton Amos Lemons was born July 5, 1918 (his death certificate listed his birth year as 1920; 1913 was cited in Bear Family's four-CD Lewis boxed set 'Shame, Shame, Shame') in DeQuincy, Louisiana. Located 22 miles from Lake Charles, where Eddie Shuler's Goldband label issued a slew of seminal bayou blues and Cajun platters, DeQuincy sits near the Texas border, approximately 140 miles from Houston. Overton spent at least part of his youth in a town called West Lake, another neighbor of Lake Charles. But sometime in his mid-teens, his second wife Dorothy Ester Lemons told interviewer Rick Coleman in the liner notes to 'Shame, Shame, Shame,' the lad hopped aboard a freight train passing through town with some of his pals. The others soon leaped off but Overton stayed on, riding the rails all the way to New Orleans and remaining there. A white family reportedly took the teenager in and raised him. During the '30s, he grew polished enough on guitar and vocals to link up with trumpeter Thomas Jefferson's band, whose members also included pianist Isidore 'Tuts' Washington, Jr.
Born January 24, 1907 in New Orleans, Washington started out playing with Dixieland bands in his early teens. He developed quite a local reputation for his piano skills long before laying eyes on Lemons. Jefferson's aggregation played classy local nightspots including the Gypsy Tea Room and the Court of Two Sisters. The versatile young Lemons styled himself as a troubadour, strolling from table to table to serenade the patrons. His voice was so powerful that a microphone was quite unnecessary, and he could croon sweet ballads by the Ink Spots or Bing Crosby as convincingly as earthier fare, depending on the situation and the venue. Overton married for the first time in late 1938. 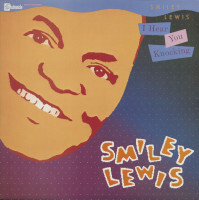 It's been suggested that he picked up the nickname of Smiley because he was lacking front teeth in his pre-fame days, though it was also noted that the short young singer smiled a lot. The Lewis sobriquet may have stemmed from the white family that unofficially adopted him, but that remains unclear. He was a hard worker in those days, driving trucks or shoeing horses when he wasn't performing on local bandstands. Tuts Washington convinced clarinetist Kid Ernest, his bandleader in 1942, to hire Lewis as the group's vocalist. 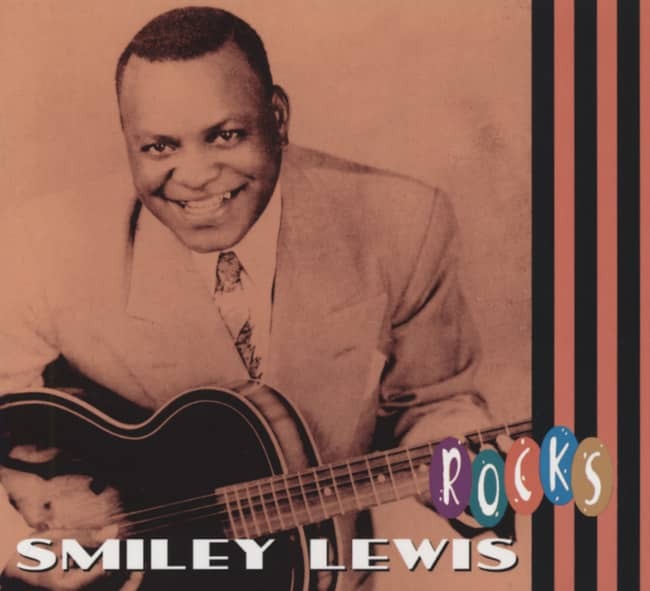 After a couple of years with that aggregation, Smiley and Tuts put together their own trio with drummer Herman Seals, born December 29, 1921. 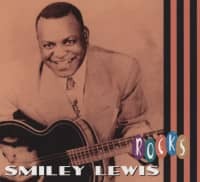 By August of 1947, 'Smiling' Lewis, as he was then billed, was popular enough locally to headline Frank Painia's famous Dew Drop Inn on LaSalle Street, where all the visiting R&B stars came by to party after finishing their own shows, along with Bartholomew's orchestra. Notably, his repertoire was studded with Joe Turner hits of the time. Brothers David and Jules Braun of Linden, New Jersey-based DeLuxe Records had begun venturing down to the Crescent City at the beginning of '47 to record budding local talent. They were basically the first indie label men to hit town and tap into its incredible talent pool, and DeLuxe hit the jackpot with pianist Paul Gayten's torchy treatment of Since I Fell For You with Annie Laurie his vocalist and Roy Brown's original Good Rockin' Tonight. 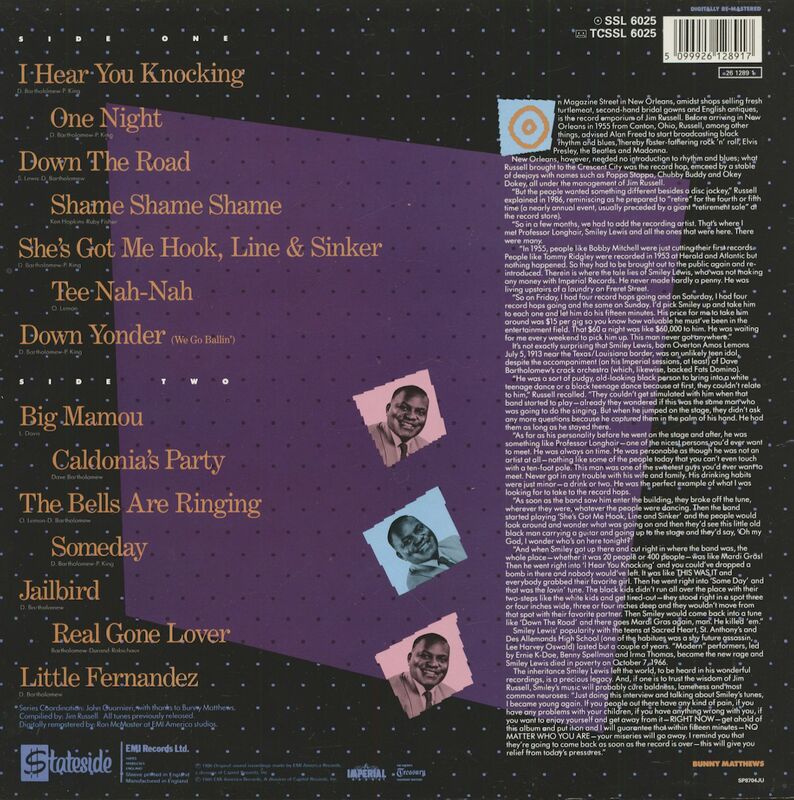 Customer evaluation for "I Hear You Knocking (LP)"